SANSON, N. - Royaume de Congo. Royaume de Congo. - SANSON, N.
Title : Royaume de Congo.. 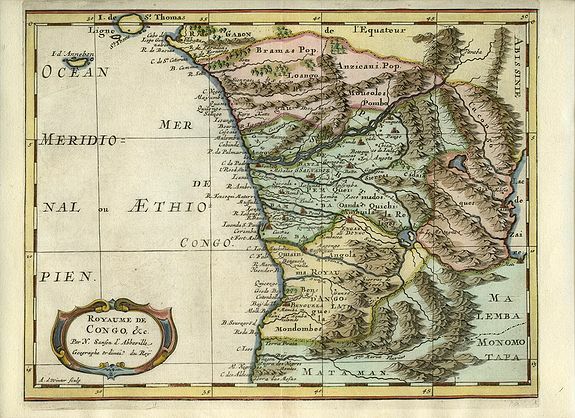 Description :Attractive map of Gabon, the Congo and Angola from Cape Lopez and Sao Tomé to approximately the border with present-day Namibia. The map is fully engraved with mountains, rivers, forests and trails and decorated with a strapwork title cartouche. Engraved by Anthony d' Winter.